In the six previous parts of this article we have studied the function and operating principles of Anti-lock Braking Systems and other functions based on ABS components. It can clearly be seen that Electronic Brake – force Distribution (EBD), Traction Control (TRC) and Vehicle Stability Control are simply extensions in functionality of the basic ABS system and it follows that test procedures and diagnosis are also similar. In this part to the series we will examine simple diagnostic and repair routines for the ABS based system components, using appropriate equipment. The days are long gone when you could safely get by with an analogue multimeter (one with a swinging needle) and a test lamp. The internal resistance of these older devices is so low that simply using them to test components can easily damage modern vehicle electronic systems. LED type test probes and digital multimeters are safer to use but limited in their abilities, leaving Digital Oscilloscopes as the most efficient tools for detailed testing. Also very useful are Code Readers and Serial Data tools, utilising the vehicle’s diagnostic socket. The very nature of these systems means that they only normally operate under fairly severe conditions and often the first indication to the driver that there is a problem with them is the illumination of a warning lamp on the instrument panel. When the garage receives a report of a “Fault” it is imperative that they fully understand the drivers complaint. Does the lamp illuminate when the ignition is first turned on? Is the lamp on all the time or intermittently? Is it illuminated for long periods or only when the ABS/VSC/TRC is in operation? (Many drivers don’t know that the lamp(s) will usually come on during normal system operation). Is only one system affected or does something else not work, (speedometer, speed related radio volume etc)? Often it is best to road test the vehicle yourself to confirm the fault – does the ABS/TRC actually work when required? Note: It may be unwise to assess the VSC on the road due to the extreme driving conditions usually needed to activate it. 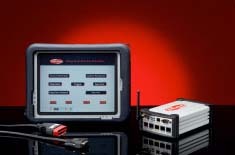 Once a fault is confirmed an appropriate code reader is very useful to establish the general area of the fault. Most modern system will distinguish between permanent faults and historical, recorded codes and is should be easy to determine if a fault is intermittent or continuous. Make a note of any codes found and clear them if possible. Road test the vehicle to see if they return. If the codes don’t reappear, check any electrical connections and harnesses related to the codes previously noted, a good “Wiggle Test” can be very useful. Should the same codes reappear, using a serial data tool will allow you to test some components whilst they are meant to be “Active”. Wheel speed sensors, brake switches, brake pressure switches and their electrical circuits can often be tested in this way by simply applying the physical influences they are meant to sense; movement, pressure etc. This can be done during road testing and often in the workshop. Note: Don’t be tempted to carry out road testing diagnosis on your own, use an assistant. Serial data tools often include a facility to operate the “Active test” function (built into the ECU), which will allow you to actuate solenoid valves within the hydraulic actuator assembly. This is sometimes used when bleeding the system where it is necessary to operate solenoid valves to allow fluid to pass through the system, but it also acts as a very useful diagnostic aid. Using a combination of fault codes and serial data it should be possible to establish that a fault actually exists as well as the area in which the fault lies. Bearing in mind that the modulator assembly is usually not serviceable and that the ECU is often mounted directly to the modulator, faults reported of solenoid valves, processing errors etc. within the unit usually involves replacing the entire assembly. Of course, as many people have discovered, it is not always wise to simply rely on codes and serial data when deciding what to replace or repair. The various sensors and their connections need to be to be checked. 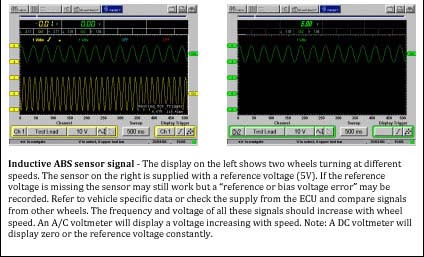 All sensors mounted remote from the ECU and connected by wires must by their very nature produce an electrical signal accessible to both the ECU and an oscilloscope and that signal must vary according to the physical influences applied. This means that if you apply the same movement, pressure etc. to the sensor as those it would detect in normal operation, it should react by producing an electrical signal of some sort. The best way to access most signals is to leave the component connected and “Backprobe” the signal wire in the connector using a suitable probe attached to an oscilloscope, connecting the earth probe to the vehicle chassis/battery earth terminal. These sensors and their connections are the most likely to fail, bearing in mind their location, often exposed to dirt and moisture. Make sure the sensors are all mounted correctly, the air gaps to the sensor ring are the same and the wiring is not obviously damaged. A number of types are in current use and the signals will differ. 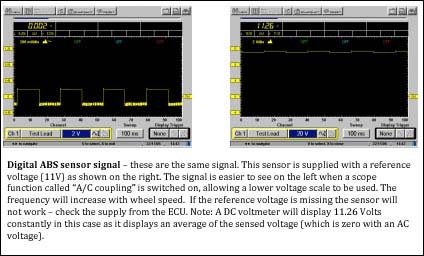 If you are unsure what to expect, test the signal from one of the sensors NOT highlighted as faulty by the code reader and compare it with the “faulty” signal. Spin the wheel by hand; the following examples show two types of signal. It is usually possible to de-mount these sensors from the floor without disconnecting the harness; they can then be twisted / shaken to simulate their normal action, testing their output at the same time. The signals may be a variable voltage or a digital output and some later versions are actually CAN signals when connected to suitable systems. Should the signals not appear then either the sensor or wiring may be at fault. Check for open circuits, short circuits between wires and shorts to ground in the wiring with the sensor and ECU disconnected. In the next article to this series we will work through an example fault procedure to highlight the techniques discussed here. 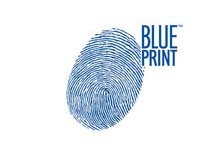 If you would like to study and practice the diagnosis of these systems in more detail we would be delighted to provide you with a place on one of our technical courses. Please see details below on how to contact us.